When reflecting on an experience at an art exhibition, it is generally easy for me to rate my experience based on how much time I wanted to spend with the art pieces. If I have to force myself to step away from every piece to move on to the next one, then the exhibit was successful for me. If I’m in and out of the exhibit in less than 10 minutes, then I probably leave wishing I had done something better with my time. At the El Anatsui, When I Last Wrote To You About Africa, (currently on display at the Blanton Museum of Art) there were pieces that I could barely pull myself away from, but other works that I only wanted to spend a few seconds with. However, overall I feel like the exhibit was well worth my time. 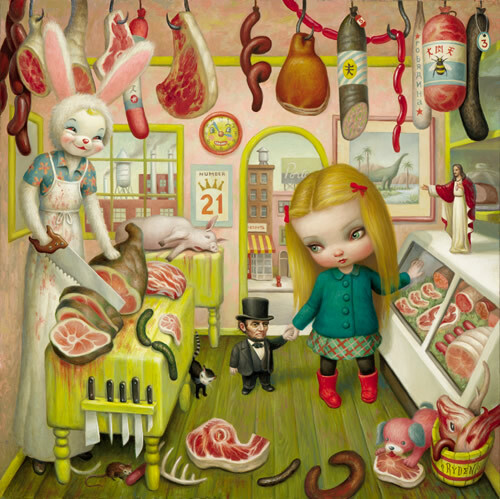 When I first heard the term 'pop surrealism' I thought that it was a pretty silly way to say "Neo Surrealist Movement". I thought it was a pretty interesting way to say 'dream-like things that are pretty aesthetically pleasing, but don't mean much'. In other words, I had no idea what this thing was all about. When I actually started looking into this overground version of underground, however, something became quickly apparent: I was going to love getting to know it better. Well one doesn't have to be hanging with the green lady or flying high with lucy in the sky to enjoy this wonderful book written by Ted Owen in 1998. 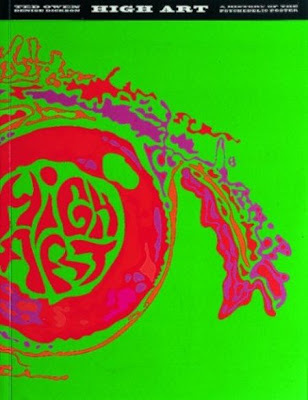 Dealing primarily with the psychedelic poster art of the 1960's and 70's, along with a few of today, Owen does a magnificent job in displaying and critiquing the different styles and techniques used not only to create but manage the awesome works of art. I believe after reading a book like this one can clearly understand and appreciate contemporary art on a much deeper and more personal level with the artist, seeing as a very large portion, if not the majority of art work and artists of today, lived and flourished through this amazing period of love, protest, great music, and of course, lots and lots of drugs. I would like to preface this post with the disclaimer that I am not personally a devout follower of Rand or her philosophical views, however I would like to correlate this particular philosophical novel with my perceptions of society today particularly within the circles and protocol of the wonderful world of high art. 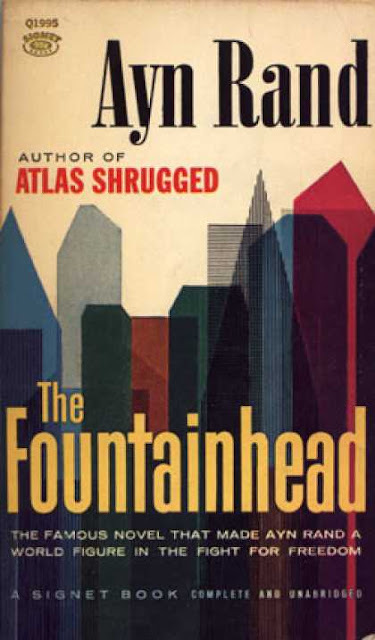 This novel is more than the story of a young architect shunned by a society obsessed with the aesthetic of the antiquated past but more a metaphor pertinent to an extent even today over 60 years after it’s original publishing date. 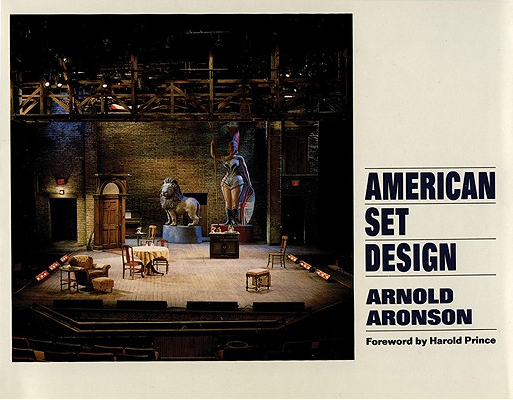 American Set Design by Arnold Aronson is a catalog, or showcase, of the most prolific set designers for American theatre over the last fifty years. To many people, set design would not be considered traditional art. Visual artists utilize tools and techniques that set designers may not use, however designers are in fact trained artists and should be respected as such. Aronson argues this fact and backs it up with solid evidence and examples. He describes the careers of eleven set designers that are more than just your typical set designer. These designers use skills that are typically only taught within the fine art world. All of these designers have made their careers in theatre, but this shows that these designers are not only still influenced by fine art, but how they too influence the fine art world. High art and theatre combine and mingle in a magnificent display of true art in Arnold Aronson’s American Set Design. On Thursday November the 3rd , I attended a performance by the Gina Gibney Dance company in Evans auditorium entitled, View Partially Obstructed. The performance was a hybrid of both modern dance and live drawing projected over the dancers . As a dance and painting major, I was overjoyed to find that both of my worlds had collided into a whimsical display of art, beauty, and athleticism. You know occasionally you get into those arguments. Those arguments that you can't afford losing, the ones you actually feel like you "use" your college education. I was out on a hunting trip ( father son event i can't stand, so I get drunk through out it). My dad's friend Johnny was out there, and he asked me who I thought was the most influential artist of the 20th century. He said Picasso, which is a great answer that can be argued about for days. I confidently said Marcel Duchamp, and he looked at me like I was crazy. I explained Marcel's "Fountain", and how that showed people that art was in the hands of the artist. Art can be anything that the artist chooses. He of course didn't want to here that, and my cousin just so happened to walk by and say " isn't art everything?" I looked at Johnny and said " You see art can be anything, it's in the hands of the artist." He agreed and I felt accomplished with myself. I walked across the campfire to see my cousin. He didn't realize it, but I was in debt to him. I asked " why did you say that?" and he replied in that eleven year old tone " well you know that colorful can stuff, those cans.... oh you know those Campbell Soup Cans" and I said " Warhol?" He looked at me and his eyes lit up " Yea i love that guy, cool colors." 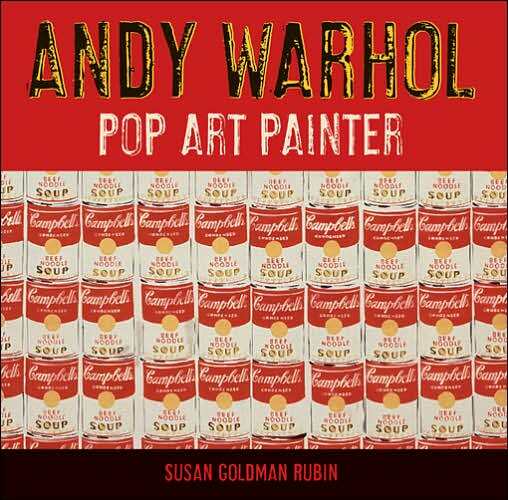 It was there that I realized that Andy Warhol is still in our culture. He is still very influential in our contemporary society and it seems like he will never go away. Domy Books is a book store/gallery space on E. Cesar Chavez in Austin, TX (also with a location in Houston that also held a Monster Show Six opening on the same night) . Domy specializes in editioned books, magazines, and products in national and international contemporary art culture. On October 29th, 2011 Domy held its 6th Annual Monster Show. The show runs till December 8th. The namesake for this show is not only for its timing of the Halloween season, but it is also a massive group show that is themed around monsters. 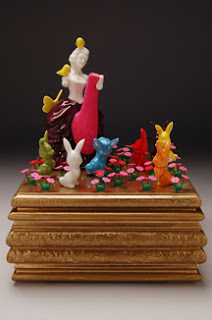 Dave Cole is an American sculptor who was born on October 14, 1975 in Lebanon, New Hampshire. He is a graduate of The Putney School located in Putney, Vermont, and he received his Bachelor of Arts degree from Brown University in 2000. His studio is currently based in Providence, Rhode Island. Cole uses crafting methods such as knitting, sewing, and quilting to create sculptures that portray criticisms on patriotism, industry, and domestic life in America. He uses controversial themes and unusual methods of construction to create playful and almost subversive pieces. Many of his pieces are quite large in size, but he has been working on a consistent basis since 2000. A few years ago I attempted to take a course in ceramics; this only lasted a few weeks before I decided to drop it. Personally I could not see my active hands working in such a steady media, but I did not lose my interest in ceramics. I gained a greater understanding for the expressive art coupled with the sound working pace of ceramists and despite my own failed attempt in this media, I find myself looking forward to the Texas Clay Festival each year since. Genealogies of Pain, David Lynch and Marilyn Manson, 2011. 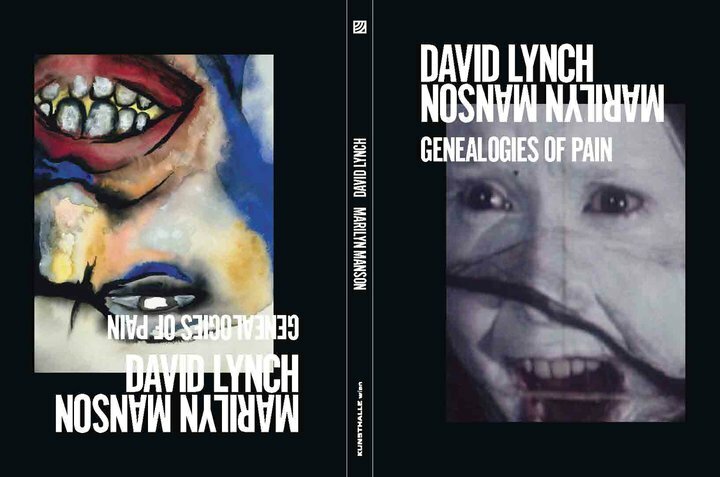 The Genealogies of Pain has certainly been one of the more interesting and well crafted art books that i have ever laid hands on. Everything in the book is interesting and unique, all the pages are a glossy black; the text is so dark it almost blends into the pages, and everything in the book is in either german or english. I found myself looking into each of the works and their meanings. Partially it was so interesting because this book is comparing a painter to a film artist. The works are quite different but are meant none the less to compliment each other. Many of the works lists the models, a few listed were Elizabeth Short and Jonbenet Ramsey. Any buff on murders would know these as The Black Dahlia, and JonBenet, as the 6 year old overly sexualized pageant girl that was murdered in her own home. I honestly wasn’t aware of the Witliff Collection and how extensive it was until a few months ago. One of my classes took a trip up to the Witliff gallery which is located on the 7th floor of Aklek. When first entering the exhibition space, I was at taken back. This level of the library was significantly different. It lacked the cold industrial look of the other floors of the library. Instead everything about the space screamed Texan decor. Despite the cheese factor of Texas decor it was somewhat refreshing after viewing every level of the library. At first the sheer amount of art in the space is overwhelming, but with further viewing it shows nicely cataloged an extensive historical viewpoint of Mexican-American photography. ﻿﻿﻿﻿﻿﻿﻿﻿ In an attempt to drive me away from a career in art, my mother once told me, “All of the most famous artists only get discovered long after they are dead.” In order to prove her wrong, I directed her to the Internet, where contemporary artists have been sharing their bodies of work with the masses for years. Art blogs are no new phenomenon, but recent innovations in the way people blog have helped to bring these artists’ work to the masses at an even faster pace. With blogging sites like Tumblr, users can choose to track the progress or “follow” certain blogs, and the content of every blog is collected on a main “dashboard” which users can browse en masse. Many artists find that hosting a blog on Tumblr allows better and faster access to their fans and peers and adds a more personal touch to the way they share their work and opinions, rather than a standard blog which might be more difficult for some to find or access. But is it possible for an artist to get “too personal” on their blogs? It’s likely that this is a moot point since artists have been stating their beliefs and opinions of a wide variety of topics since before the Internet, and an art blog is possibly the most ironic place for this point to be explored, but I find it a point worth exploring nonetheless. 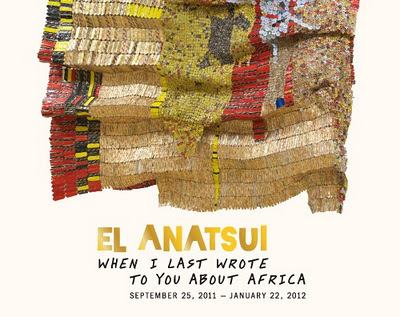 El Anatsui's When I last Wrote to You About Africa exhibition is currently on display in the temporary gallery at the Blanton Museum in Austin Texas. 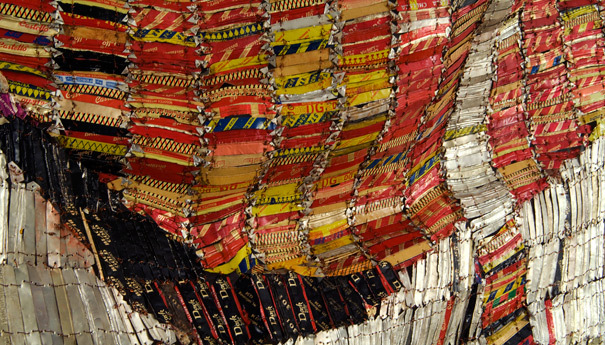 The exhibition covers Anatsui's recent work as well as pieces dating back to the 1970's. The underlying theme of the exhibition is Africa, with pieces that tie together subjects including first contact with westerners, slavery, and the vibrant economic marketplaces of Africa today. Robert and Shana Parkeharrison work together to create photographic based works which deal with nature, humanity, and our interaction with nature and technology. 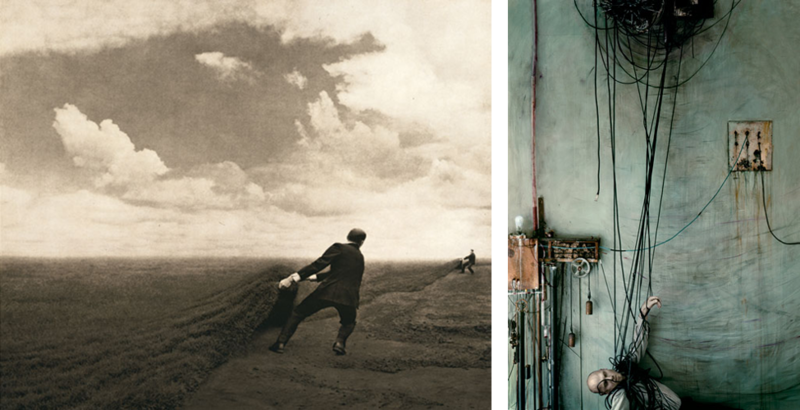 Straddling a line between grim and hopeful their works have a visual style echoing romantic and surrealist artist of the past but address a modern environmental dialogue and technological paranoia. Their images are filled with explicit symbols suggesting a need to mend and rebuild our surroundings, but leave the settings, objects, and characters ambiguous. While the artists disregard their technical methods as inconsequential, the physical production of the pieces has an interesting synergy with the subject matter itself. Our century has witnessed a profusion of artistic trends and developments like no other. 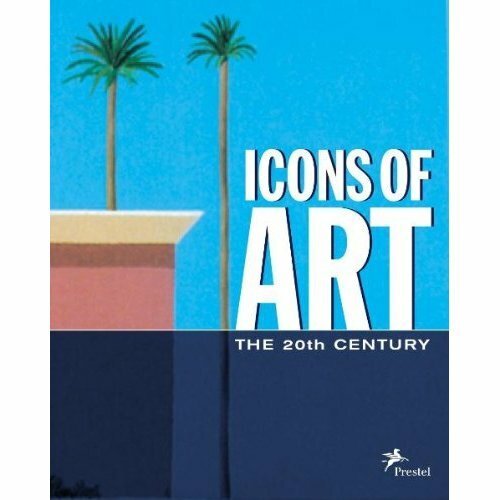 Author of Icons of the 20th Century, Jurgen Tesch does an amazing job at reminding everyone of the works of art that have changed the world of art and that continue to influence the art world today. Presented in chronological order, the works in this book illuminate the ever-changing conceptions of art over the last hundred years. In the Foreword part of this book, the editors express the reason why these particular works of arts (and artists) were chosen to be a part of this volume. By participating in the art world in any way, one will eventually stumble across many different themes, motives, and styles. One thing I have come to learn so far in my journey is that no matter what type of art being produced, all categories will contain some works who's main purpose is to make the viewer laugh. 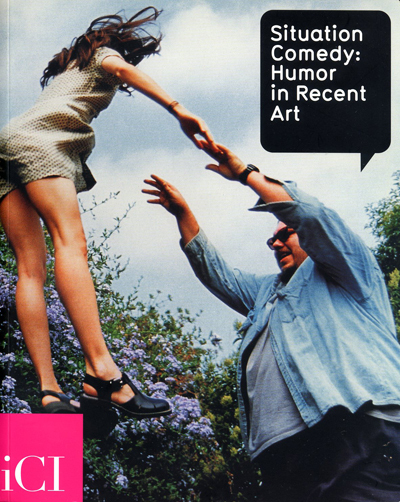 I recently acquired this book titled Situation Comedy: Humor in Recent Art which takes a look at the different ways artists use humor to help create and convey their works to an ever-growing audience. One of the arguably most underappreciated and simplest tool used today is cardboard. Simple, reliable, and almost vital in some everyday situations cardboard has always been able to be relied on by its users. 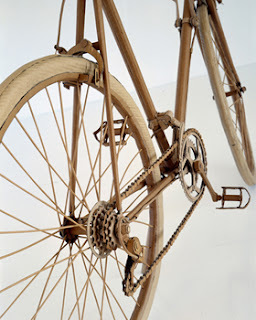 But a more growingly common use for the material is art. Lari Pittman, "Untitled #30 (A Decorated Chronology of Insistence and Resignation)," 1994. Acrylic, enamel, and glitter on two wood panels. 83 x 160 in. The Spectacular of Vernacular exhibition originally shown at the Walker Art Center in Minneapolis is accompanied with a 128-page exhibition catalogue that goes further than just a curator essay; it encompasses a great deal of information to help the reader understand the importance of vernacular forms in contemporary arts. The catalogue accompanying the exhibition, first opening in January of 2011, was published in March of the same year. The catalogue to The Spectacular of Vernacular, put together by the Walker Art Center and organized by Chief Curator Darsie Alexander, goes into great detail of the study of vernacular art forms influencing contemporary arts and showcases each art piece exhibited in installation resulting in a contemporary arts book that can stand alone. 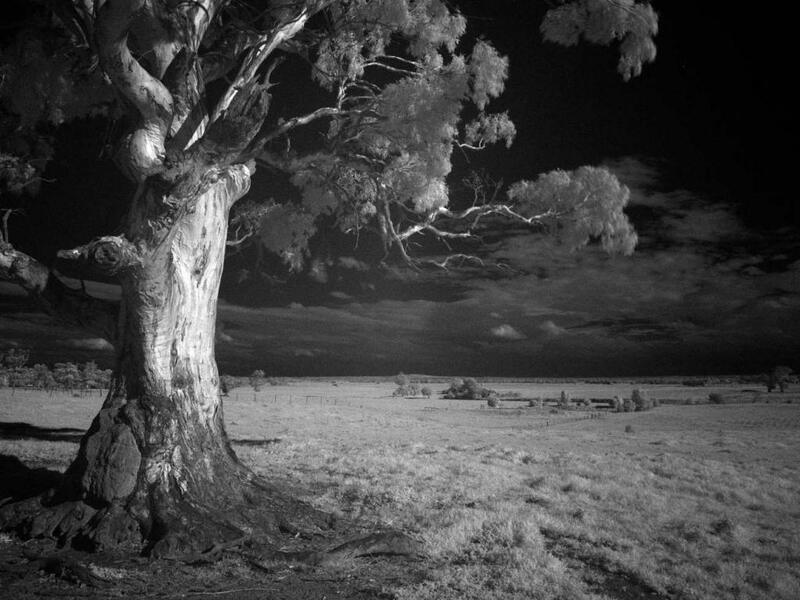 At first glance, the image above may look like a typical black and white photograph. Then after a brief moment you begin to study the image because it doesn't quite feel right, as if your eyes are playing tricks on your mind. You slowly begin to realize what should normally be bright is actually quite dark, and the lighter tones begin to mysteriously glow. Well, thankfully your eyes are not playing tricks on you and the reason this photo appears differently is because it is a digital infrared image captured using invisible infrared light waves via a digital camera. 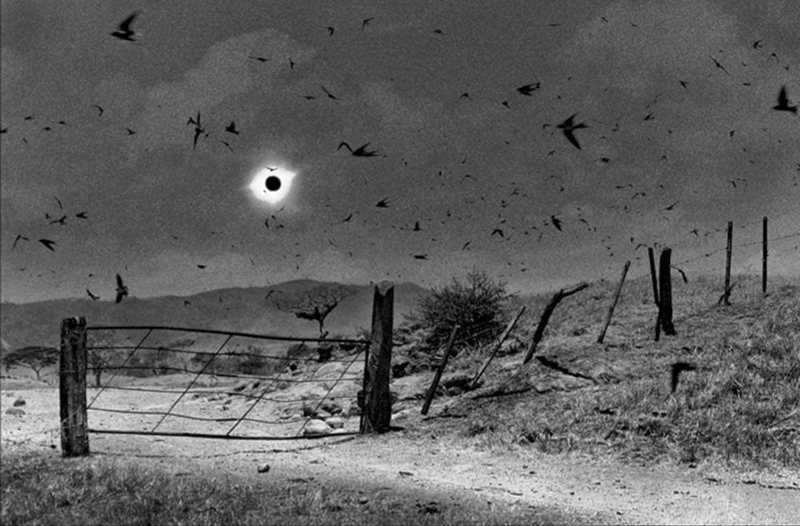 Bill Owens is one of the most influential photographers of the 20th century. 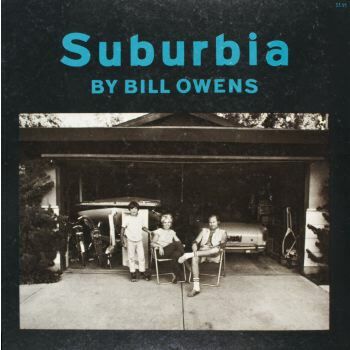 There are, and were many people who made a name for themselves by shooting city life and metropolitan scenery, but Owens is one of the only to have captured such an accurate look at the suburban lifestyle in the early to mid nineteen seventies. He is also accredited with single handedly defining the "American Dream" in his photos. 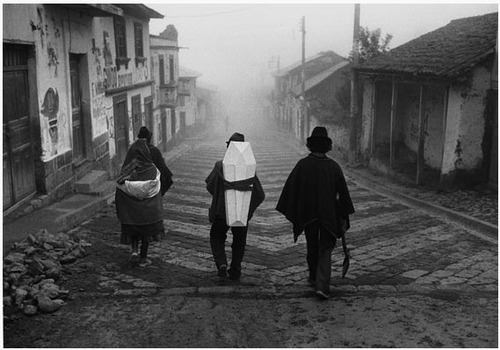 His book Suburbia was first published in the late seventies and later republished in 1999 and is a collection of what would turn out to be his most famous photographs. 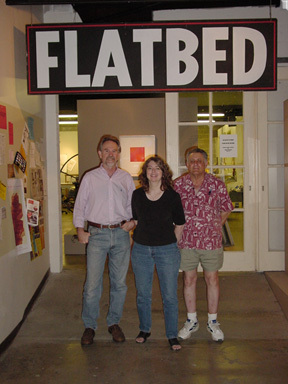 Flatbed Gallery appealed to me because I am a graphic design student and I’ve found I am not too fond of the contemporary art that pushes the limits to what I personally feel should be considered art. This gallery contains monotype, intaglio, relief, oversized, self published, lithographic and photographic prints. The gallery prides itself on displaying only unique works which aren’t duplicates. There are many mediums of art but, has it ever crossed your mind that fashion could be yet another form of art? We each have our own style that is inspired by who we are, what we do, and is ultimately a way of projecting our personality. In my opinion this is the same with art such as performance, drawing, or visual art in which, they all have a language of their own. Amy Larocca and Jake Chessum state, " You can tell a lot about a banker from the cuff of his shirt, or about an NYU student from her Hermes scarf, or about an artist from the mounds of old mascara lining his eyes." Over a period of three years Larocca and Chessum set up a temporary studio about once a month on a undisclosed street location in New york, waiting for someone to catch their eye. The Look Book is a anthropological documentation on New York's street fashion. Performance art is an ephemeral thing: if you weren't there when it happened, well, too bad for you. Sure, you might see pictures (stills) that would give you an idea of what the actors and staging looked like, but it isn't the same as experiencing the performance. You can't hear the audience's reactions, the music or sounds that might go with the performance. 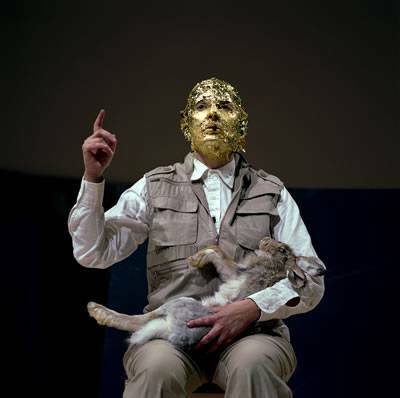 In the past, this was just a part of performance art: either you were there or you weren't. In the 21st Century, this might not be the case. El Anatsui is a Nigeria-based artist from Ghana who has been creating all kinds of art from sculpture, wall hangings, paintings and more for his whole life. The exhibition at the Blanton Museum of Art is a collection of that work. I was lucky enough to be in Austin for the weekend and had the chance to see it. Walking into the show room I felt overwhelmed because there was so much to look at. It was a big contrast from the entry way of the Blanton which is a large empty area with high ceilings, a stair case and a array of really beautiful blue cast acrylic tiles covering the walls. 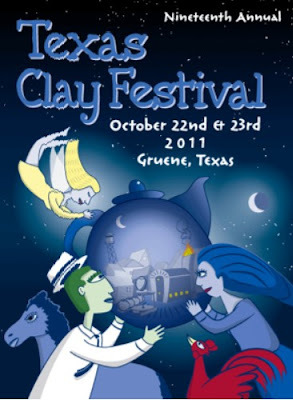 The 19th annual Texas Clay Festival was held in Gruene of New Braunfels on October 22 and 23 2011. Throughout both days, over 60 of Texas artists gathered together, and showed their works and sold their wares. Several artists held demonstrations of their crafts in four tents. On 23rd, I went there to help two of those potters’ demonstration as a volunteer. Like the festival organizer Dee Buck said that every artist makes his own style of pottery, it was really good opportunity to see all different styles of ceramics from classic to contemporary and to learn their variety of techniques. TREND | Humor In Contemporary Art | Does Humor Belong In Art? In Chasing the Perfect: Thoughts on Modernist Design in our Time, Natalia Ilyin writes a personal memoir on her observations on how modern design has affected her life. She analyzes how modernism has created the idea of the perfect. How it has created ratios – ratios that have either a good or a bad side, a hero or a villain. 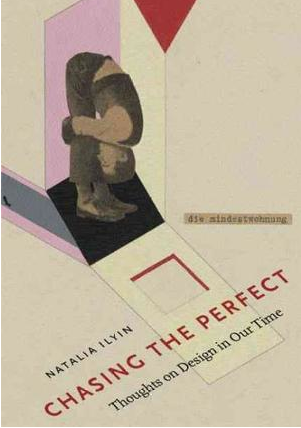 Each chapter Ilyin recalls instances in her life that mirrors modernist successes or failures. Modernism is defined as rejecting the dominance of naturalism, realism and academicism in favor of experimental art. This insider story about the New York art scene circles around Mia McMurray, a receptionist at the Pryce Gallery in Chelsea. The novel begins in a typical art show, shedding light on the types of New York’s most “prominent,” and the grotesque amount of money spent on the art that they may not even appreciate. The contrast of Mia’s timid awkwardness to the high sophistication of the art bidders and the rest of the art scene around her lead this story to be satirical in its views of the gallery world. Mixed media painting. Signed on the back. ﻿ Yard-Dog, located on the busy South Congress St. in Austin is a diamond in the rough. Approximately 9 feet wide by 16 feet long this tiny art shop has many very interesting collections’ on display at this current time. This space is filled with such a calm feeling and wonderful natural light that anyone walking in feels like they are right in the center of Austin’s earthy arms. The curator of Yard-Dog set up this space in what seems to be a bit of an unorganized style. There are pictures covering practically every space on the walls. The pictures are erratically arranged: some paintings are touching one another, while others are placed one above another, while still even others are spaced about half an inch apart! To try and place which artist is which is complicated enough. Trying to discover the name of the current display collection well…that was done via the internet and not so much with the help of the gallery. Another unusual thing that the curator has done is created a top heavy space by putting the larger paintings above the smaller paintings. Yet, somehow this tiny space with its warm dark red wall and high-gloss white wall, with its thick beam through the middle of the shop, cozy back corner, and old scuffed wood floors makes one feel right at home. Dating back to the earliest accounts of man creating any kind of artwork, there has always been an appreciation for the female form. Early cave drawings and the oldest pottery ever found, shows images of well endowed women as desirable. Pin-Up as we know it today dates all the way back to the late 1800s, however, it really took shape during World War II when soldiers would "pin-up" pictures of celebrity women in their lockers, celebrities like Betty Grable. When walking into such a large space, it was intimidating at first. Being a photographer, it’s overwhelming; the excitement I felt was indescribable. If I had to make an association with anything it would be the heart racing sensation you get when you see the one you love, in this case the thing I love. 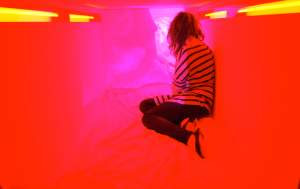 To have these images encapsulated into this space was something a student of the medium can lose themselves in for hours. To be able to see the works of those dating back to the great depression and some from our contemporaries is something that should be applauded. Those in charge of the Wittliff collections did a remarkable job in selecting works that embody the south and culture that represents this and surrounding areas. To maintain a uniformed identity without diluting the individuality of each work is outstanding on their part. This past weekend was the opening of the show “Looking for a Fight” at the V.A.C. at UT Austin. This show consisted of three artists. There names Lucy Parker, Isabella Burden, and Layne Bell. When I first walked in to this show I had no idea what it was about but I was really enamored by all the sculptures that I viewed. I was amazed with how simple it all was and how it made me wish that I could think this way. 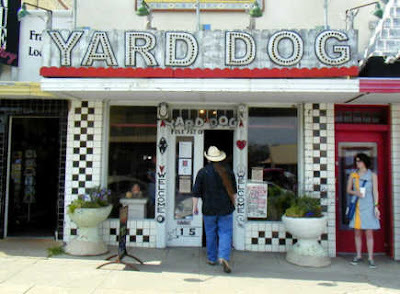 Yard Dog Art Gallery, 1510 South Congress Avenue in Austin, Texas. I spent my first two years of college at St. Edward's University on South Congress in Austin, Texas. It's a weird street that definitely fits Austin's reputation as a weird city. Plenty of vintage clothing stores, hip little food trailers, and interesting thrift shops. After living there for 2 years, I thought I had seen it all, but I was surprised to see something I had never seen before while driving through town. Tucked in between the famous Austin landmarks Lucy in Disguise with Diamonds and Uncommon Objects is a small art gallery by the name of Yard Dog, and I decided I wanted to check it out for my next blog entry. Upon entering the Women and Their Work gallery, guests are presented with a table display of information about the Margaret Meehan’s show titled Hystrionics and the Forgotten Arm. There is a binder filled with information about the artist, Meehan, including other galleries displaying Meehan’s work, and essays about the artist. One impactful piece of information included on the display table is a listing of the artwork titles and the order that the pieces should be viewed. The list also includes the materials used and price for each photo or installation. The back side of this handout includes a list of key boxing terms used in the titles of each work. 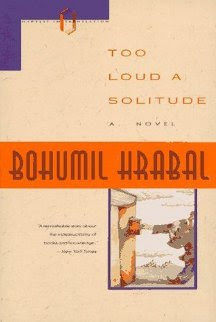 Czechoslovakian writer Bohumil Hrabal who narrators the internal stream of a beautiful thoughts and "unwitting wisdom" through his fictional character Hanta in Too Loud a Solitude. Hanta has been married to his work of hydraulically compacting wastepaper and banned books for thirty-five years in a cold wet stench ridden cellar with his mice companions, it is his love story. This short novel is an alluring and entertaining sculpture in itself. Gradually taken within the first few pages though run-on sentences full of vital insight of Hanta's life in first person exposes who he truly is. His heart and hours are devoted to the books he compacts day in and day out, he manifests guilt within himself as he feels like a murder of precious pieces of art and cannot stand how all others overlook their crucial meaning of life. Hanta treats his bales of paper as sculptures, each one tagged with its own special stamp. Saving books from genocide Hanta takes the bales home and lives amongst them as an extensive installation. The first time I witnessed body painting was when I was looking at a Sports Illustrated magazine many years ago. At the time, I will admit that I did not look at it as an art form. When I started looking at the body as a canvas, I was immediately blown away by how much and how often body painting was being practiced. There is actually a World Bodypainting Festival that give prizes to the best body painters, photographers, makeup artist, and DJ’s. Winning this competition gives promotion and advertising on the festival website. Having grown up only 30 minutes away from Houston’s art district, I am ashamed to say that I have only been to the Houston Museum of Fine Art once and honestly I was a too young to really appreciate my time there, or even begin to slightly understand what it was I was looking at. So when I decided it was time to visit my sweet family back home, I knew I must take advantage of going back to the art district. 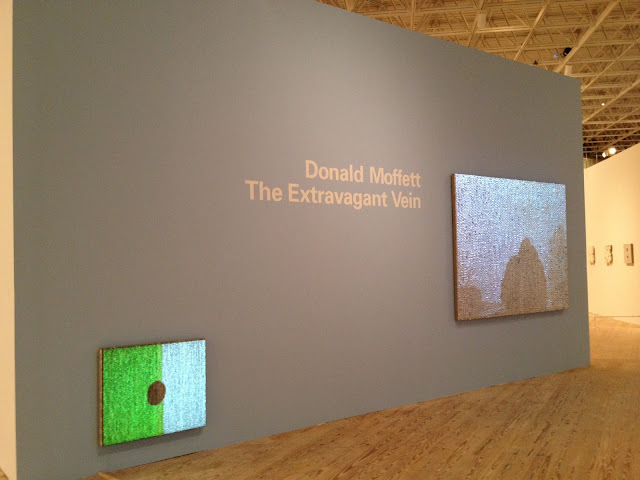 This time after I wandered around the MFA’s sculpture garden I crossed the street and found myself at the Contemporary Art Museum of Houston where I discovered Donald Moffett’s The Extravagant Vein. 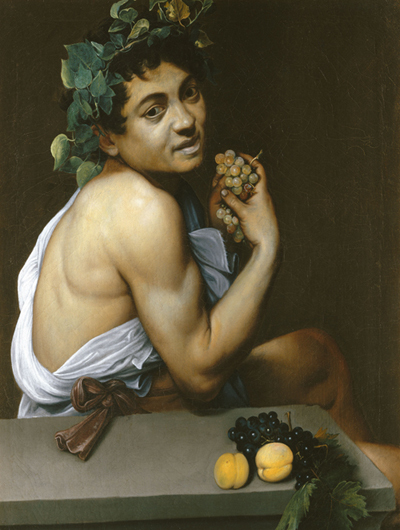 REVIEW | Caravaggio and His Followers in Rome | Kimbell Art Museum | Ft. Worth Tx. One of my favorite art museums to visit is the Kimbell art museum in Ft worth Texas. There I had the good fortune to be able to visit during the Caravaggio and his followers in Rome exhibit. Michelangelo Merisi da Caravaggio was born in 1571, although there is some debate of the actual date of his birth, and died in 1610 during which he is known for his dramatic oil paintings that he produced while in Rome. 1510 South congress Avenue in Austin Texas is home to the Yard Dog gallery for local artist and their folk art. The Gallery seems nothing more than a small whole in the wall. When entering The Yard Dog, to the right is a white wall filled with an assortment of paintings. To the left are more paintings and sculptures, but on a red painted wall. This gallery is far from traditional yet it is pleasing and comfortable. Being that the location is small there is not a lot of room for each individual artist. It might come across as cluttered, but I believe it works with the Austin vibe. When I first walked into the Yard Dog of course my eyes went straight to the red wall. The red paint only extends about a quarter way down the entire room wall. For my review I wanted to see something fun, catchy, and uplifting in complete contrast to the day; which looked on the verge of raining the whole afternoon. The day before I had viewed El Anatsui at the Blanton Museum of Art , but I was temporarily turned off by the art world. Anatsui had on display the most monumental pieces I've ever paid for, mainly large handmade tapestries; resembling bamboo carpeting, stitched together with wiring and hundreds of plastic alcohol rapers. However, by the time I got to the Blanton there were more guards than visitors, and even though I studied all the writing posted along the gallery walls I couldn't help but still feel detached from the exhibition. Josephine Meckseper, Pyromaniac 2, 2003, C-print. USA Today is a book written by Norman Rosenthal and Meghan Dailey. 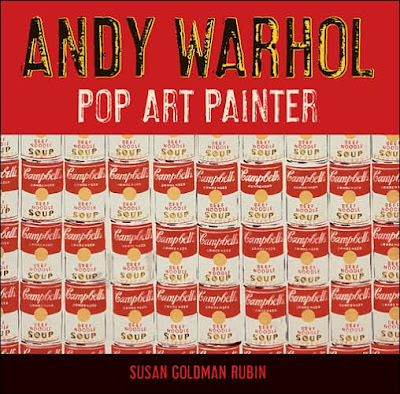 This book is a review of an emerging generation of artists who together represent the challenging variety of work being produced in the 21st century. It is pretty lengthy at exactly 400 pages long. 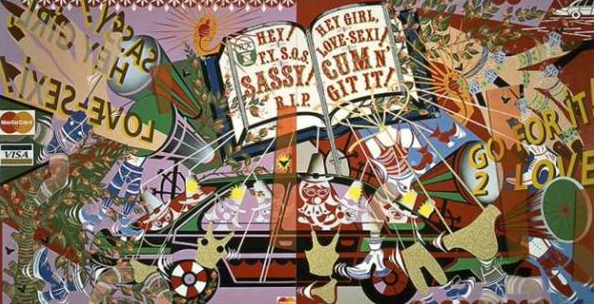 It features 40 contemporary artists and 250 works from the Saatchi Gallery in London, England. 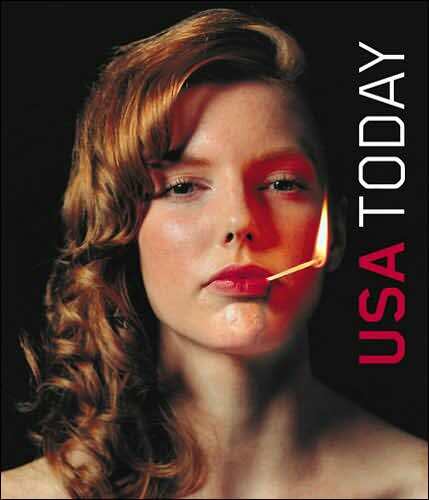 The cover of the book has a young attractive woman with perfectly curled red hair who has a lighted match in her lips, and at first glance it looks as though she were smoking a cigarette. Growing up in the country of Cyprus, there was not a lot of opportunity to become familiar with Western Culture. I clearly remember the first slap of mesmerizing, western culture I received; a little restaurant that pipped in the BBC (quite the accomplishment for the island) was playing the Gorillaz. My siblings and I were hunched in front of the screen watching Jamie Hewlett's characters conquer a tombstone planet in Clint Eastwood. 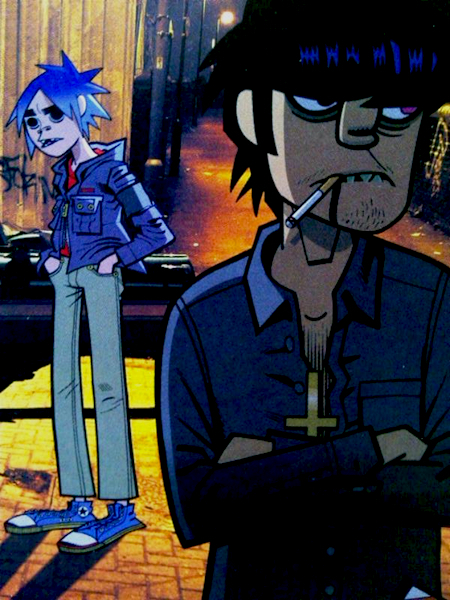 Our lives were changed, all three of us share a common love of Jamie Hewlett's animation. "I AM 8-BIT" is a collection of themed art works that were produced by artists who were inspired by their favorite 80s classic video games. Making an Impact on pop culture, the games of the 80s have not only lead to the advancement of modern video games, but they have also created a new platform of inspiration for the art world. 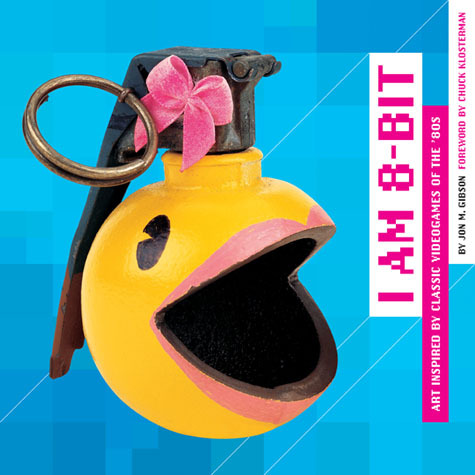 "I AM 8-BIT" displays each artists' work with a bit of information; of all the great artists, two of them (Gabe Swarr and Jose Emroca Flores) depict certain iconic characters that stand out among others. The creation of these iconic games and characters from the 80s into amazing visual works of art has continued to hold it's place in poplar culture while influencing future generations of gamers and artists.